An office floor plan is a type of drawing that shows you the layout of your office space from above. The office floor plan will typically illustrate the location of walls, doors, windows, stairs, and elevators, as well as any bathrooms, kitchen or dining areas. 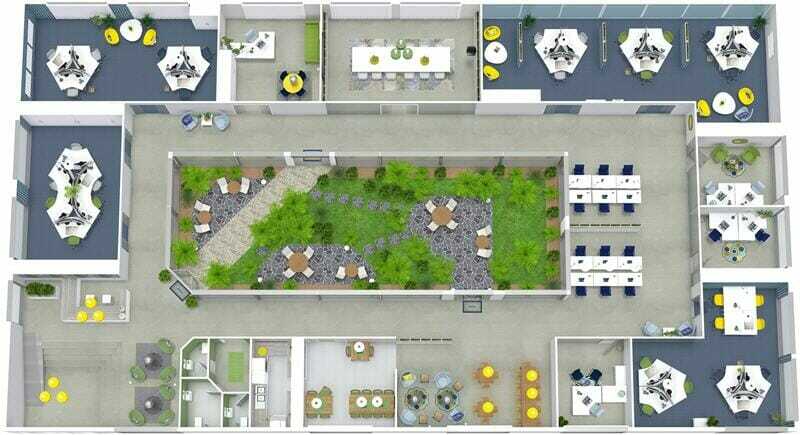 An office floor plan will also show the layout of offices, meeting rooms and office furniture. The floor plan is usually drawn to scale and will indicate what the room types, room sizes, and wall lengths are. 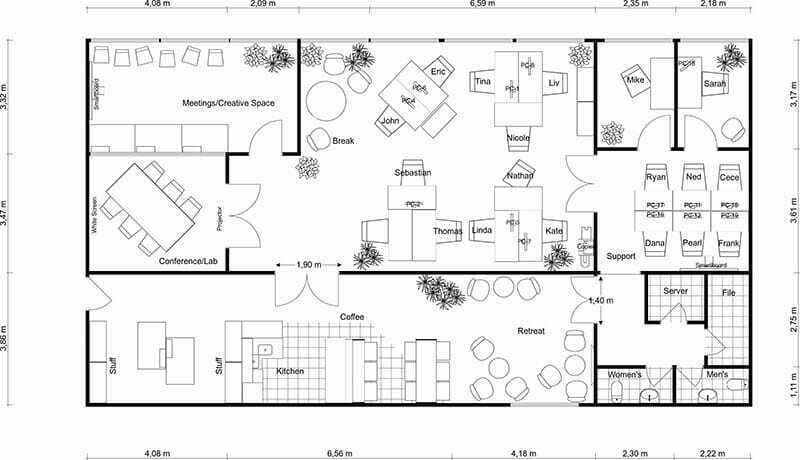 Why are Floor Plans Important for Office Planning? An office floor plan is one of the most important and useful tools you can create when planning an office. Whether your office is large or small, a floor plan will help you to see your options more clearly, so you can to create a productive and effective office layout. Learn more about the different types of office layouts. When planning large office spaces, a floor plan will help you to make sure you can fit all your employees and the spaces they need, such as meeting rooms. This is particularly important if you are looking for a new office location or planning an office move. If you are planning a small office, you need to consider the size and purpose of furnishings carefully to use the space as efficiently as possible. Creating an office floor plan will help you to do this and more. Learn more about office planning and the ways an office floor plan can help make your office design a success. Floor plans are an essential part of any office planning or design project. 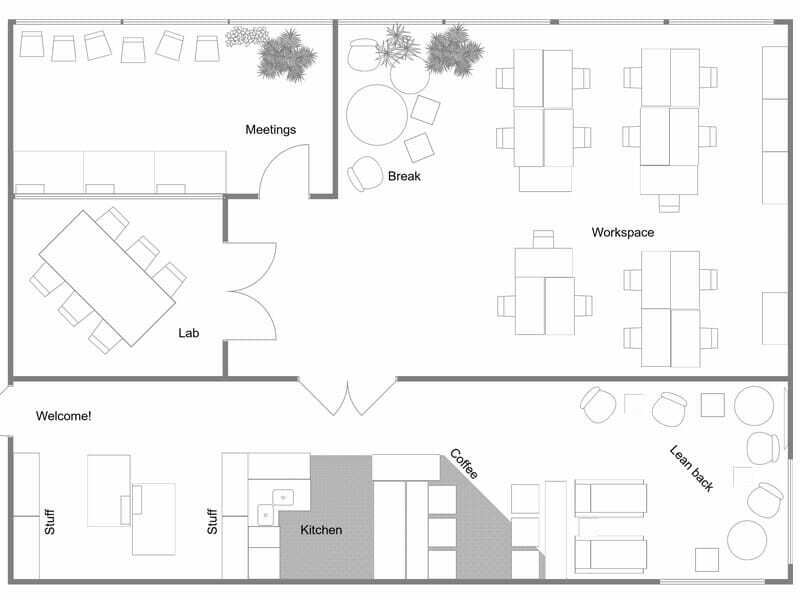 Floor plans help you to see your office layout more clearly, as well as what your options are. Below are the two types of floor plans that are most beneficial for office planning. A 2D Floor Plan provides you with a clean and simple overview of your office. You can see the room layout, the walls, and the circulation. They’re also helpful for figuring out office furniture layouts and office seating plans. Making a 2D floor plan is the best way to start any office planning project. Add room names, room sizes, room colors, measurements, labels and more on this kind of floor plan. 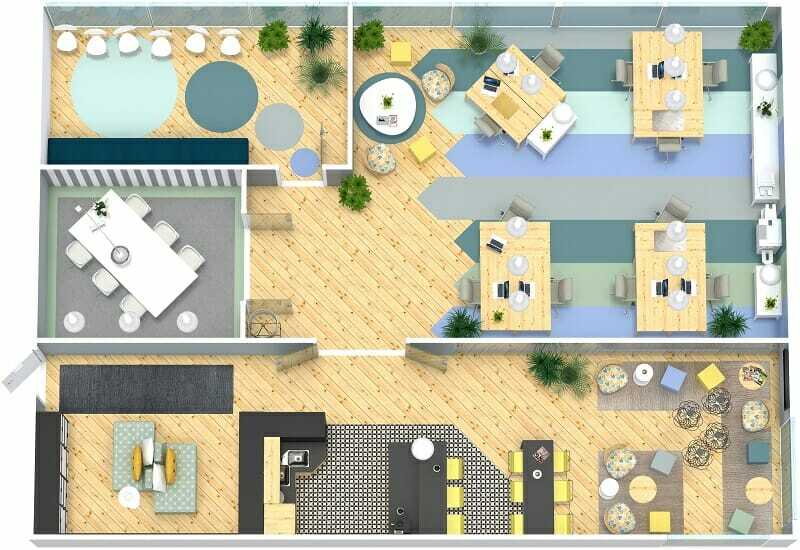 A 3D floor plan takes your office planning to the next level. With a 3D floor plan, you can see the size, color, texture of the space, as well how the furnishings will look. They are the perfect way to see and present your office design ideas. With RoomSketcher floor plan software you can create a 3D Floor Plan at the touch of a button – it’s that easy! 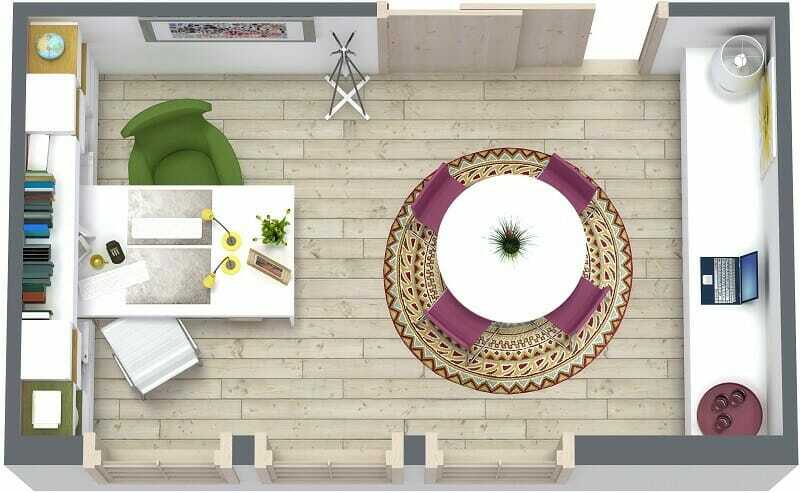 Get started creating your office floor today with RoomSketcher. Draw your office floor plan, furnish it, and see your office design in 3D. Learn more about using RoomSketcher as your office design software of choice.